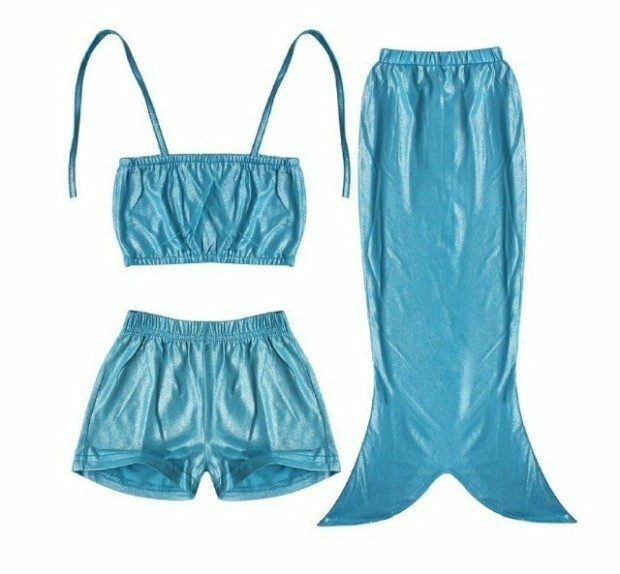 Kids Mermaid 3 Piece Swimming Set Only $15.99! You are here: Home / Great Deals / Kids Mermaid 3 Piece Swimming Set Only $15.99! This Kids Mermaid 3 Piece Swimming Set is Only $15.99! While designed for swimming, this is a fun way for the kids to dress up and create their own summer adventures! Available in Green, blue and pink!